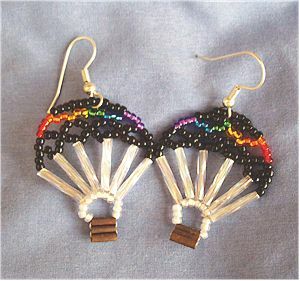 Also, anyone interested in custom ordering hot air balloon earrings is welcome to contact me. I have just about every imaginable color bead in stock and a number of different color scheme layouts. "Brandy" is complete and looking lovely. I need to complete final pattern edits before making it available for sale. I'm not working on any new pattern designs right now, in fact, I'm working on a number of other projects including some Christmas gifts. This little design break is causing a buildup of ideas. When I'm not knitting, I'm making notes and researching ideas. I recently discovered the "pinwheel" bag construction technique and I have a plethora of ideas for incorporating either aran stitches or a modular technique. I hope to develop a pattern utilizing this construction technique. 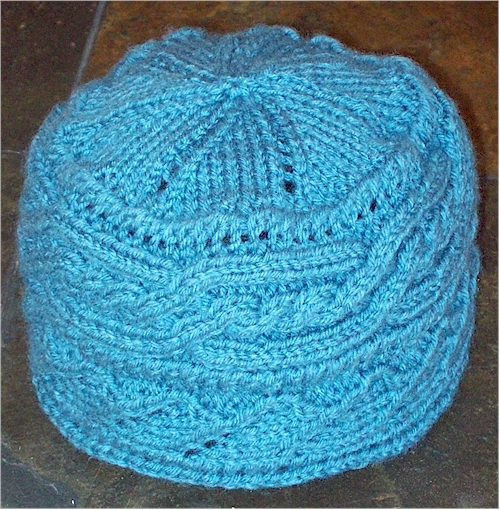 I also attended a wonderful class on Creating with Color & Texture at Oodles Yarn & Bead Gallery in Santa Fe that has really pushed me to be more daring with both my color selections and combining fiber types. I'm working on an amazing cover-up with a huge variety of materials such as merino, llama, silk, cotton, polyamide, acrylic, rayon and beads ranging from lace to super bulky weight. Steam Engine Experiment & Jelly Day! NOTE: When Pressure Canning – Jars CAN be stacked and touching. Stove setting “2” on Double Burner maintains 13# pressure. 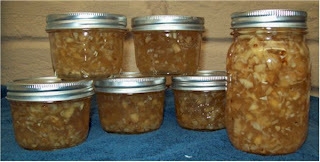 NOTE: Add 2 tbl white vinegar to processing water to avoid white stains on jars. Combine garlic, onion and vinegar. Stir in sugar. Over high heat, stirring constantly, bring to full rolling boil that cannot be stirred down. Stir in pectin. Boil hard, stirring constantly for 1 minute. Remove from heat and skim off foam. 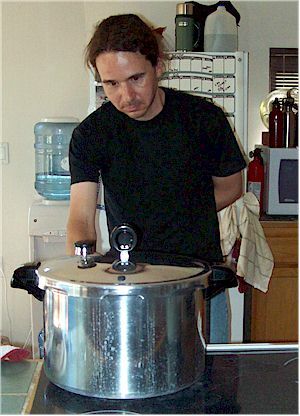 (Stirring quickly in the center forces foam to edges of pot.) 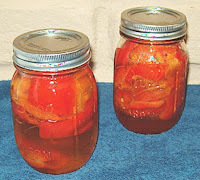 Quickly pour hot jam into hot jars, leaving ¼” head space. Process in hot water bath canner for 20 minutes (Rio Rancho altitude). 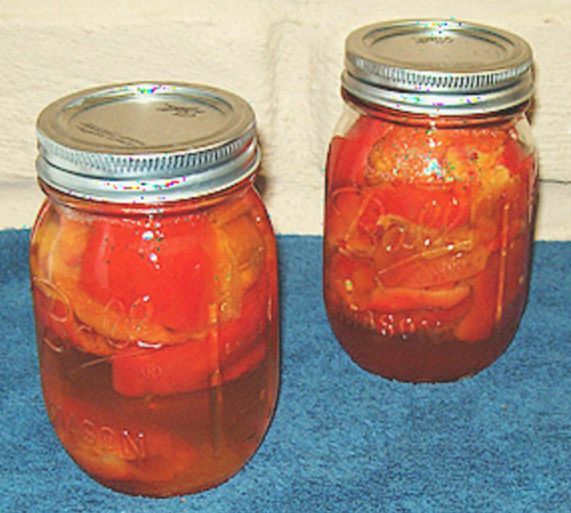 Makes 1 pint, 5 half-pints and 1 small refrigerator jar. To enhance suspension of solids, cool jars uprights 15-30 minutes or until lid pops down but jelly is not set. Carefully twist and/or tilt jars to distribute solids. Do not shake. Roast, skin and seed peppers. Quarter, then halve. Hot pack into hot PINT jars. Add boiling water, and remove air bubbles. Top off leaving 1” head space. Process at 13 pounds (Rio Rancho altitude) in Pressure Canner for 35 minutes. Makes 2 scant pints.